The sprawling area in front of the Durvar Sahib (Golden Temple)is set for a makeover. 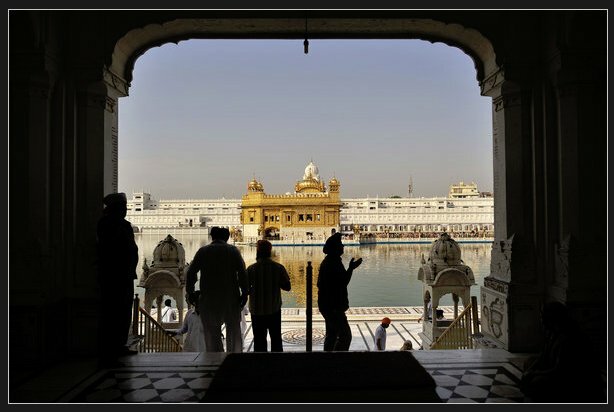 The Punjab government is set to conduct an international design competition and the winning entry will shape the entrance to the holy Sikh shrine. Talking to The Indian Express, Principal Secretary (Tourism) Geetika Kalha said the design of the plaza must complement the grandeur of the holy shrine and provide a befitting entry to it. The Punjab Heritage and Tourism Promotion Board (PHTPB) had invited proposals from architectural and urban design firms for the contest. It is learnt that 21 firms have submitted their ideas and concepts for the area measuring 9,410 square metres. The board is hopeful that with top urban designers participating in the contest, the vacant space in front of the imposing, ornate archway of the main entrance portal will be aesthetically transformed. Rajni Shaleen Chopra,indianexpress.com, 11th October 2010.